- Perfect for all of your jewelry-making needs! 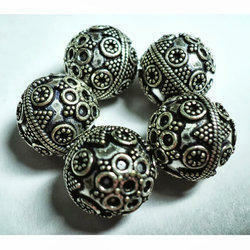 Attractively crafted bali silver beads, made out 92.5% silver exemplify the artistic feelings of our assiduous workers. 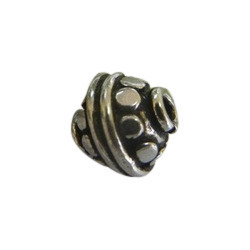 Our company holds vast experience in this domain and is involved in offering Sterling Silver Bali Beads. We manufacturer and exporter of Bali Beads in different size. Silver sterling beads, caps beads, silver bali beads.